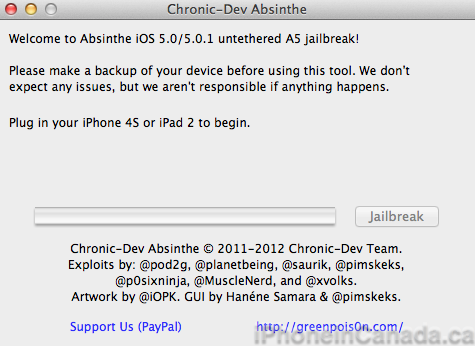 GreenPois0n Absinthe v0.1.2-1 Download to Jailbreak iPhone 4S Now Available! This is fantastic news. As always, back up your data and proceed with caution. This is an initial release that has been tested but you never know. Let us know how this jailbreak works for your A5 devices. Update 1: @planetbeing tells us on twitter if you want to fix the “error establishing database connection” after launching the Absinthe web clip, you need to turn on the VPN. Your device will reboot. 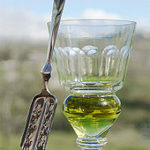 Then, try the Absinthe web clip again. Camera roll will be empty if the jailbreak is incomplete. Rerun the app once to fix, and then another time to complete jb. Update 2: An updated build of Absinthe has been released.